Thoracic Surgery is co located within the South West Cardiothoracic Centre (SWCC) at Derriford Hospital. 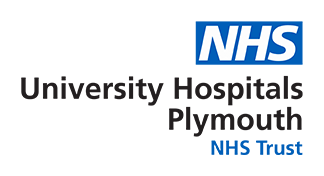 This service delivers the surgical care for all the patients in Cornwall, Plymouth and large postal codes of Torbay as an adult elective and non elective cohort, with a second thoracic service delivered in Exeter, supported by the team at the SWCC. The SWCC hold weekly satellite outpatient clinics at Treliske and Torbay Hospitals and attend the relevant multi disciplinary team (MDT) for those referrals. There is also a lung MDT held at Derriford with our representation on a weekly basis. The Trust has a dedicated thoracic theatre that can also be used for specialist upper GI work within the cardiothoracic complex, supported by the cardiothoracic anaesthetists and specialist team. The ward beds are housed within the Terence Lewis Building and are used flexibly with the specialist upper GI service.